Archive by category "Blog List"
Can I Catch Billfish in Costa Rica? What are Billfish? Billfish can be found in Costa Rica year round, and peek in various months depending on whether or not you are in the North, Central or South Pacific Coast of Costa Rica. Please ask your fishing lodge, or captain the best months to find these species in Costa Rica. It is illegal to remove a billfish from the water in Costa Rica, but don’t worry you can still take your photo with one while leaving the billfish safely in the water for release. Read this article by Todd Staley about why not to take billfish out of the water and the proper way to catch and release them. The most common billfish anglers release in Costa Rica are Sailfish, Pacific blue marlin, black marlin and striped marlin. Although other billfish such as swordfish and long billed spearfish can be found in Costa Rica, they are usually difficult to fish for due to the limited access to them. Read this article by Todd Staley on why Sailfish are worth more alive then dead to Costa Rica’s National and local economies. The term billfish refers to a group of predatory fish characterised by prominent bills, or rostra, and by their large size; some are longer than 4 m (13 ft). Billfish include sailfish and marlin, which make up the family Istiophoridae, and swordfish, sole member of the family Xiphiidae. They are apex predators which feed on a wide variety of smaller fish, crustaceans, and cephalopods. These two families are sometimes classified as belonging to the order Istiophoriformes, a group with origins in the Late Cretaceous around 71 million years ago with the two families diverging from one and another in the Late Miocene around 15 million years ago. However, they are also classified as being closely related to the mackerels and tuna within the suborder Scombroidei of the order Perciformes. However, the 5th edition of the Fishes of the World does recognise the Istiophoriformes as a valid order, albeit including the Sphyraenidae, the barracudas. Billfish are pelagic and highly migratory. They are found in all oceans, although they usually inhabit tropical and subtropical waters; swordfish are found in temperate waters, as well. Billfish use their long spears or sword-like upper beaks to slash at and stun prey during feeding. Their bills can also be used to spear prey, and have been known to spear boats (probably accidentally), but they are not normally used in that way. 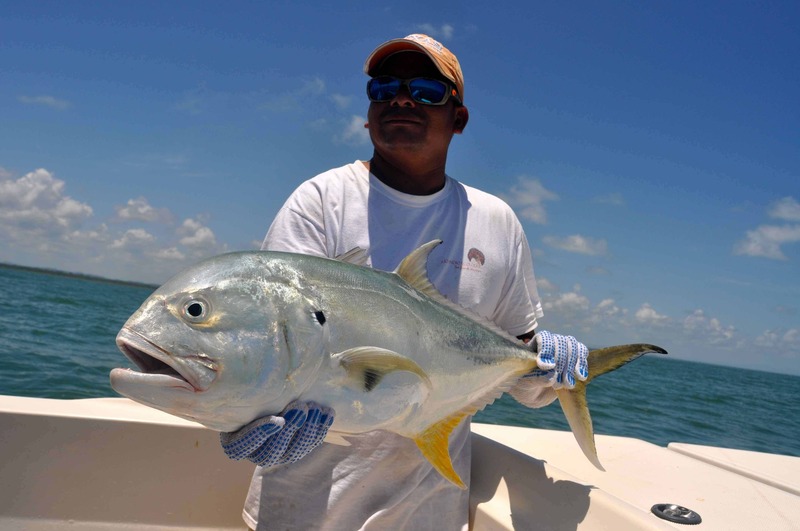 They are highly valued as gamefish by sports fishermen. Billfish are exploited both as food and as fish. Marlin and sailfish are eaten in many parts of the world, and many sport fisheries target these species. Swordfish are subject to particularly intense fisheries pressures, and although their survival is not threatened worldwide, they are now comparatively rare in many places where once they were abundant. The istiophorid billfishes (marlin and spearfish) also suffer from intense fishing pressures. High mortality levels occur when they are caught incidentally by longline fisheries targeting other fish. Overfishing continues to “push these declines further in some species”. 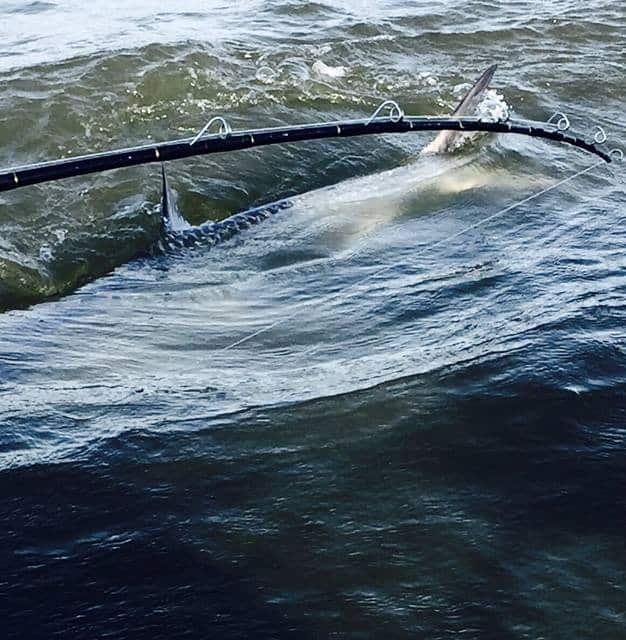 Because of these concerns about declining populations, sport fishermen and conservationists now work together to gather information on billfish stocks and implement programs such as catch and release, where fish are returned to the sea after they have been caught. However, the process of catching them can leave them too traumatised to recover. Studies have shown that circle fishing hooks do much less damage to billfish than the traditional J-hooks, yet they are at just as effective for catching billfish. This is good for conservation, since it improves survival rates after release. The stocks for individual species in billfish longline fisheries can “boom and bust” in linked and compensatory ways. For example, the Atlantic catch of blue marlin declined in the 1960s. This was accompanied by an increase in sailfish catch. The sailfish catch then declined from the end of the 1970s to the end of the 1980s, compensated by an increase in swordfish catch. As a result, overall billfish catches remained fairly stable. “Many of the world’s fisheries operate in a data poor environment that precludes predictions about how different management actions will affect individual species and the ecosystem as a whole.” In recently years pop-up satellite archival tags have been used to monitor billfish. The capability of these tags to recover useful data is improving, and their use should result in more accurate stock assessments. In 2011, a group of researchers claimed they have, for the first time, standardized all available data about scombrids and billfishes so it is in a form suitable for assessing threats to these species. The synthesis shows that those species which combine a long life with a high economic value, such as the Atlantic blue marlin and the white marlin, are generally threatened. The combination puts such species in “double jeopardy”. 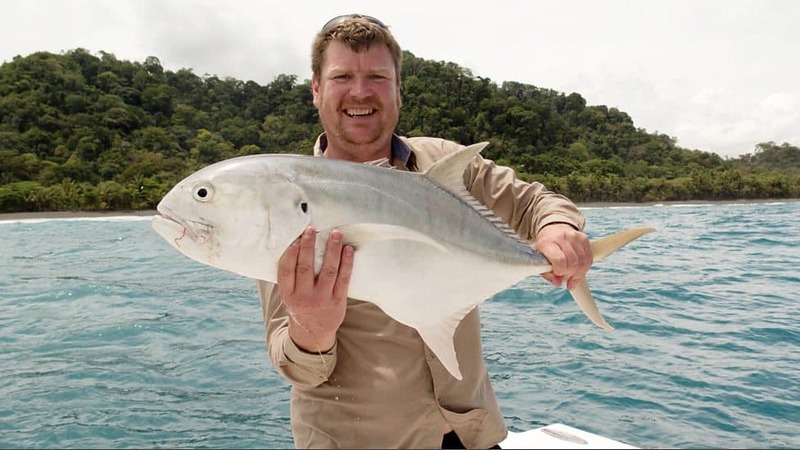 Costa Rica Fishing Conservation: Why is the Costa Rica Tuna Decree so Important? There is nothing like enjoying a fresh yellowfin tuna sushi, sashimi, or even a big fat juicy fresh tuna steak when your arms are almost too tired to lift the chopsticks. Recreational anglers are catching more tuna than ever all along the Costa Rican Pacific seaboard. Fighting yellowfin tuna on rod and reel is like having your line attached to a freight train. The increased availability of tuna has been a saving grace for many a charter captain in the off season for billfish. People are asking: Why so many tuna? In 2012 FECOP (Federacion Costarricense de Pesca), a non-governmental group made up of different sport fishing associations around the country began researching the tuna purse industry in Costa Rican waters. Territorial waters are 11 times greater than Costa Rica’s terrestrial area. Costa Rica does not have any national flagged tuna vessels and purse licenses are sold to and operated by foreign flagged vessels in Costa Rican waters. FECOP approached then President of Costa Rica Laura Chinchilla explaining a problem existed and she advised them to submit a project supporting their claim. FECOP then discovered that over the 2008-2011 period, 193 purse vessels operated in Costa Rican waters while INCOPESCA the governing body of fishing in Costa Rica reported only 81 licensed vessels sold for the same period. Apparently 114 or 58% of the vessels were operating illegally. Much of the tuna never made it to port in the country. Costa Rica benefited a mere $37 a ton for tuna stored. Knowing the government would be slow to react to just a group of sport fishers’ complaints, FECOP held meetings with the longline fleet. After decades of throwing stones at each other the two groups decided to present the project to the government together. The longline fleet expressed if there were a steady supply of tuna available they would have no interest in sailfish which are a major bycatch problem in Costa Rica with non-selective types of fishing gear. President Chinchilla signed the “tuna decree,” as it is known near the end of her term and newly elected President Luis Guillermo Solis delayed the publication of the decree, but it eventually passed in October of 2014. The decree protects over 200,000 square kilometers of territorial water (44%) from purse sein operations, (see map). The most important area to recreational anglers is the first 45 miles from the coastline in which sein operations are now prohibited. In March of 2017, using data supplied by FECOP’s Director of Science Moises Mug, INCOPESCA reduced tuna purse sein licenses sold to foreign fleets from 43 vessels down to 9 for the rest of the year. The government amended the agreement and sold 13 licenses. A new decree is waiting to be signed that would only permit 8 licenses permanently. It is estimated 25 tons of what would have been marlin bycatch in purse sein operations were saved in Costa Rican waters in 2017 alone. According to agreements in the Tuna Decree there are a few provisions that have yet to be implemented. A management plan for the coastal and special polygons. Polygons A and D on map. An onboard observer program must be created for longline fleets, and a research program including horizontal and vertical migration using archival tags. The management workshops have already begun with sport and commercial fisherman, government agencies and NGO’s all participating. INCOPESCA, INA the governmental technical institute that trains for many occupations including different types of fishing, and FECOP have all teamed up for a year- long “greenstick” and vertical line study which started with the first voyage in October. Greenstick is a method of fishing tuna with almost zero bycatch that is common in the Atlantic side of the United States but INCOPESCA requires technical support studies done in Costa Rica before they will give licenses for fish them here. With more tuna available and a growing demand for sustainably caught tuna on the International market with a higher value at the dock, hopes are one day a portion of the longline fleet will convert to greenstick fishing. This would decrease the amount of billfish bycatch. Cuando pensé que todo estaba bien que estaba siendo feliz que al fin Dios me recompensaba, te me vas y me dejas sola, me dejas con un vacío profundo pero sobretodo con ganas de verte una última vez de besarte y decirte lo mucho que te amo me dejaste sola en este mundo que era para los dos!! Nunca pensé sentir un Dolor ni parecido parece que pensar que esto es una pesadilla es la mejor salida porqué simplemente no veo mis días sin esa sonrisa sin tus llamadas repentinas que cambian mis días sin tus msj que me hacían pensar que todo estaría bien no me imagino mi vida sin ti que eras el hombre de mi vida te amo y no se como seguir sin ti no sé cómo se supera este dolor!! Si en otra vida te vuelvo a encontrar me aferrare a ti tan fuerte que nunca más te volveré a soltar!!! FECOP was formed in 2008 by a small group of anglers who discovered 480,000 kilos of sailfish were being exported annually into the United States. Much of this was served in seafood restaurants as smoked seafood spread and people had no idea they were eating sailfish. FECOP convinced the government to stop the exportation of sailfish but it can still be sold on the National market as a low-cost supplement to the Costa Rican diet. The first major conservation project FECOP tackled was the creation of the largest Marine Area of Responsible Fishing in Central America. Sport fishing is allowed and small scale artisanal fishing is permitted in the Golfo Dulce on the Osa Peninsula, but shrimp trawlers and gill nets are no longer allowed. A Golfo Dulce Commission was formed with representatives of all the users of the gulf as well as governmental agencies and NGO’s who meet monthly to manager the area. FECOP has not existed without controversy. While the whole Costa Rican sport fishing community should have been celebrating the Tuna Decree when it passed, they were distracted by a campaign from The Billfish Foundation labeling FECOP as “quasi-green environmentalists” and a threat to sport fishing in Costa Rica. The controversy started when a FECOP member voiced his opinion at a public forum on regulating more the organized billfish tournaments in Costa Rica. TBF ran with it claiming it was FECOP’s stance to discredit the organization. A blessing in disguise, the incident prompted FECOP to re-evaluate itself. The staff was reduced and Moises Mug, one of the most respected marine scientists in the country was hired full time. Today their agenda is quite simple. Promoting sport fishing in Costa Rica both recreationally and professionally with a focus on bycatch, research and communication. The staff is supported by a board of directors from both the recreational and professional fishing sector including sportsman and Hall of Fame baseball player Wade Boggs who is an avid fisherman and conservationist. Continuous maintenance of the Tuna Decree will be needed in 2018 which Dr. Mug will oversee. Henry Marin will head up a socio-economic study concentrating on coastal communities individually, demonstrating the importance of sport fishing. One study FECOP will be doing that will be especially exciting is Pacific Tarpon. Not indigenous to Pacific waters the numbers caught on the Pacific coastline has been increasing annually. It is suspected they have come through the Panama Canal and are breeding in Pacific waters. Fish will be captured, tagged, a tissue sample taken and then released. Genetics and feeding habits can be determined by a tissue sample. 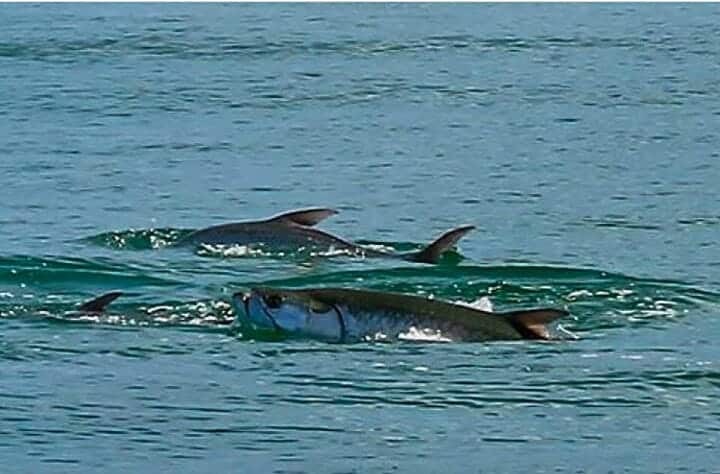 The study will be done in the southern zone where more fish have been taken, but tarpon have been caught up on the Nicoya Peninsula and one was caught recently as far north as El Salvador. Range: Killer whales or Orca are available in most seas and all oceans. They have a massive range. However, they prefer higher latitudes and coastal areas. They can be seen swimming along the Pacific Coast to the southeast of Isla del Coco, Costa Rica. They are also available along the south Caribbean coast. Size: The Orca male averages a length from 5.8-6.7 meter (19-22 feet. ); the largest males on traced were 9.8 meter (32 feet.) However, these are averages 4.9-5.8 meter (16-19 feet.) Calves length average 2.6 meter (8.5 feet.). Weight: Orca can gain a weight up to 6 tons (5443 kg). The Orca male averages 3,628-5,442 kg; MALE largest males recorded weighed 10,000 kg (22,000 lb.) An Orca female averages 1,361-3,628 kg. Calve has a weight 136-181 kg. Diet: They are Carnivore, Orca normally eat fish, squid, whales, sharks, seals, octopus, sea turtles, sea gulls and penguins, Fishes, marine mammals, birds and sea turtles. Orcas have powerful teeth that are around three inches long, and one inch in diameter. An Orca can eat about 550 pounds of food every day and can take a trip several hundred miles to get seasonal prey. Average life span: Orcas Whale average life span in the wild is 50-80 years. Habitat: Killer Whales are found in every ocean in the world as they can be found in tropical waters, including Costa Rica ,as well as arctic waters. They can be found near coastal waters, as well as deep waters. Breeding/Reproduction: The breeding period for Orca whale vary from winter to start of spring and it is normally executed in warm waters. The gestation period is 16-17 months. The Calves are usually born between Octobers – March. Newly bon calf weighing approximately 400 pounds and measure from 6-8 ft long and they can swim along with their mothers within 30 minutes. Normally Orca females give birth to one calf. After birth, the calves are look after by their mothers and midwives for the period of twelve months and occasionally for a longer period until they take care of themselves. Orca or Orcinus orca is a mammal which is a part of the family of Delphinidae in the order of Cetacea. This toothed whale is also better known as killer whales. They are mostly found in all oceans and open seas from the freezing waters of Antarctica and Arctic to the tropical and temperate water of Pacific like Costa Rica. In Costa Rica alone, these whales can be seen inhabiting the pacific coast to the southeast waters of Isla del Coco, some are also seen inhabiting the pacific coast of Ballena National Marine Park, Cahuita National Park, also in the waters of Golfo Dulce, Golfo de Papagayo, Gandoca-Manzanillo and Uvita and in the natural national parks. One of physical attributes of an orca is their black colored back with chest and sides that are white as well as a small white spot on the upper side of the eyes as well as behind the eyes. Killer whales have a bulky and strong body. It has a big frontal fin which measures up to 2 meters tall. Their teeth are robust and wrapped by enamel with a jaw that has a powerful grip. Male is much bigger than females. They have a length of 20 to 26 feet long and weighs of more than 6 tones. While the female are 16 to 23 feet in length and 3 to 4 tones in weight. Male has also much bigger pectoral fins that look like paddles than female. Orcas are known to be social since they usually live in small pods or groups. They are very close to each other that they usually swim, play and hunt together. Also they protect the younger orca in the pod from predators. They are also known as fast swimmers. Since they were considered as the second heaviest brains in the mammal species, they were tending to be noted as intelligent creatures. They can be trained by humans. Orca breeds mostly in the winter going to early spring usually in temperate waters. They usually carry a single offspring just one time in every five years. They carry their baby from about 16 to 17 months before giving birth. When the female give birth to its calf, it is still black but with patch of yellow or orange color but as they grow it will fade to white. A calf usually measure approximately 8 feet in length and weighs around 180 kilograms. Like most mammals, the baby is being nurtured through their mother’s milk. These killer whales eats mostly fish but will include squids and even sea turtles in their sustenance. Also they fancy some birds like penguins and seagulls or other marine mammals like seals, sea lions, walrus and even other whales. When they hunt for food they usually hunt in groups that are the reason why they are also tagged as “wolves of the sea”. Orca has these distinct habits of doing acrobatic like leaping out of the water, slapping its tail or even holding their head above water or spy hopping. They also produce different sound to communicate from other whales like clicks, whistles and calls. Orca are considered as an apex predator meaning they are on the top of the food chain. Mostly no animals or mammals usually threatened them but just humans. Whaling or whale hunting is also common in orcas. They were killed to get oils from their body. Also it was been foreseen that these species are considered threatened to extinction because of habitat loss due to pollution in water or oil leaks as well as these type of marine life are captured for the sake of entertainment in marine National parks of Costa Rica. The Exocoetidae are a family of marine fish in the order Beloniformes class Actinopterygii, known colloquially as flying fish. About 64 species are grouped in seven to nine genera. While they cannot fly in the same way as a bird does, flying fish can make powerful, self-propelled leaps out of water where their long wing-like fins enable gliding for considerable distances above the water’s surface. The Exocet missile is named after them, as variants are launched from underwater, and take a low trajectory, skimming the surface, before striking their prey. A portion of all proceeds will be donated to an amazing organization called the Seeds of Hope. They work in Costa Rica on the national and local level to combat sexual exploitation, drugs, violence and trafficking of minors. The participants will compete in the categories of billfish (sailfish and marlin) and dorado. “We want to attract woman from all parts of the world who are lovers of this activity, either with us without the experience of the tournament,” said Samantha Mumford Pescadora. The event will start on February 21nd with the registration process during the afternoon and continue with the fishing sessions on the 22nd and 23rd, to conclude on February 23rd with the big award, a trophy for the team winner and for each of the participants in each category. Within the awards, the teams compete for cash prizes as well. “After all the billfish releases, a verification is made by means of videos and likewise, the tuna and dorado species will be weighed in the official Roman Navy of the Pez Vela, to carry the count of points. The fisherwoman who gets more points at the end of the two fishing days will be crowned as the best in the world,” said Jeff Duchesneau, general manager of Marina Pez Vela. Currently, the competition has teams of fisherwomen from Costa Rica, the United States, Panama, Mexico, Angola and Canada, although it is expected that open registration will include around 30 or 40 teams to the tournament. Billfish Championship, which will be held 21, 22 and 23 of February, in Marina Pez Vela. This registration includes access to the party to start the event, drinks and food for the whole tournament, a bag for each fisherwoman, a blouse and supplies donated by the sponsors. “The requirements are to have at least two people per team and a maximum of five, love fishing and come with the willingness to have a good time and make new friends,” said Mumford. In addition to the main tournament, the marina will have other activities that weekend, such as a party to start the event, activities on the docks on the second day and a party during the award ceremony. Former specialist and now veteran Joshua Cumings and his wife Ashley Cumings won our 2017 all-inclusive Costa Rica Castaway Sweepstakes. Joshua was born in Grand Rapids, Michigan. He joined the Army in February of 2003 at the age of 22 and attended OSUT (One Station Unit Training) at FT. Leonard Wood, MO to be a Combat Engineer/Demolitions and bomb expert. During his career, Specialist Joshua Cumings served as an Engineer Squad Leader. He participated in Operation Iraqi Freedom and Operation Enduring Freedom. His additional deployments included South Korea as a member of 2nd Infantry Division 44th Engineer Battalion Charlie Rock Sappers Air Assault Company and Kosovo as a member of KFOR (TF Falcon). During Specialist Cumings deployment to Iraq In August 2004, he and his squad survived a severe attack by enemy forces. Due to Specialist Cumings injuries during his deployment to Iraq he was later awarded a combined award of 100 % disability from the Department of Veterans Affairs. Please read an excellent review by Mr. and Mrs. Cumings about their vacation at Crocodile Bay Resort. “When you think of paradise where do you think of, Belize, Honduras, or maybe skiing in the Rocky Mountains of Colorado? Well, let me tell you something I’ve been to all those places and nothing compares to the gorgeous lush mountains, the vibrant tropical birds and the amazing views you’re going to experience at Crocodile Bay Resort. We caught and released over 22 roosterfish, snapper and sailfish. I don’t normally go saltwater fishing, but this was just beyond amazing. The resort staff was out of this world. Olimpia, one of the main concierge’s was phenomenal, she was always there to make sure we had everything we needed like a mom making sure her kids had the best time possible. And her cookies are out of this world. Her son Anthony was just as kind and made sure we had a great time doing some charter fishing. The locals have a saying in Costa Rica. Pura Vida! The saying simply translates to “Simple Life”. In Costa Rica it really is all about the simple and pure life. Everything just kind of slows down when you come to the Osa Peninsula. People here really know how to make you feel at home and treat you like family here. As an American that works an average of 60-80hr work weeks we don’t tend to know how to slow down and enjoy the simple things in life. Like just going for a walk down the road and enjoying the wild life and the beautiful scenery. The food that we enjoyed at the resort was out of this world. Expertly prepared in traditional plating the chef certainly knows what he’s doing. All of the ingredients are locally sourced and always fresh with an amazing flair for thinking outside the box with unique flavors. For example, we had a bowl of the pumpkin crème soup, braised and barbequed pork ribs and a local root that’s mashed and tastes like mashed potatoes that have amazing flavor as well as traditional beans and rice and a side salad. Our last night at the resort the chef asked me what my wife’s favorite dessert was and I told him “Anything to do with chocolate”! He then said to me “I have the perfect dessert for her then that I shall create”. The desert that was made was so beautiful I was almost sad to eat it. But then, we took one bite and couldn’t stop. From the fresh cream and strawberries to the basil and coco locally sourced for the chocolate lava cake it was all amazing. And just the thought that was put into making our last night special simply put, makes Crocodile Bay Resort the ultimate home away from home destination with every accommodation imaginable. You can sign up here for a shot at winning this year’s fishing trip at Crocodile Bay Resort, Costa Rica!